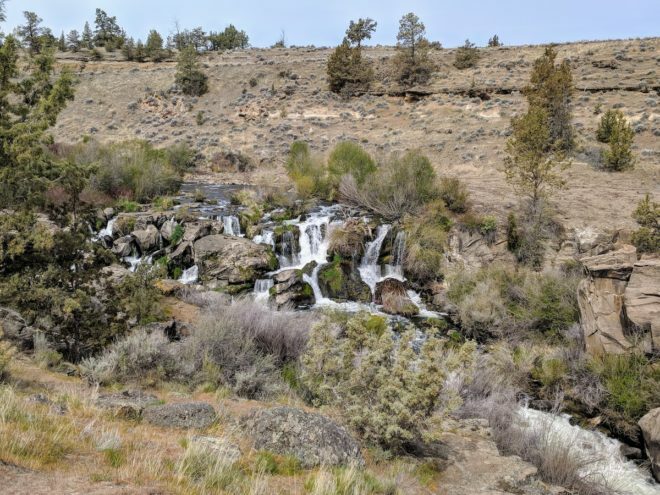 Cline Falls on the Deschutes River is a short walk with a beautiful viewpoint just off the Mackenzie Highway, near Eagle Crest resort. There are a number of places to approach the falls, but we think the view is best from the East side of the river. 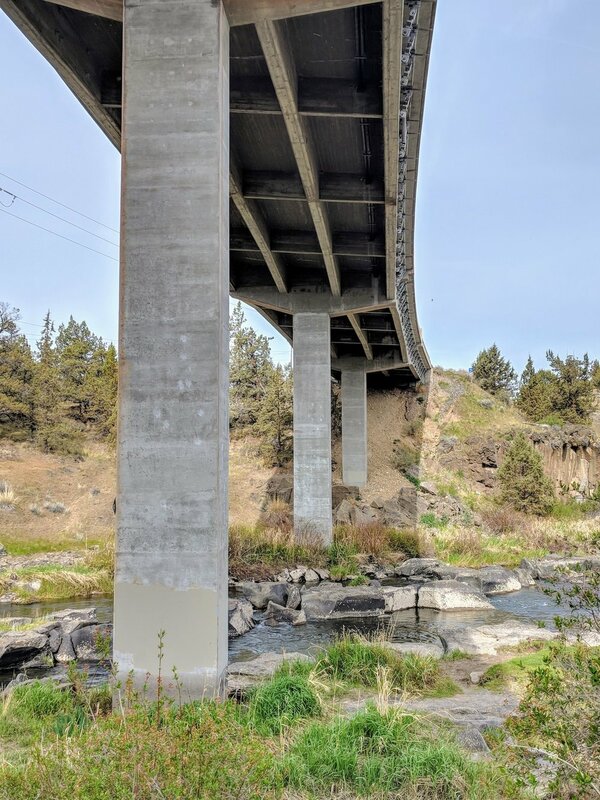 By parking at the Cline Falls State Scenic Viewpoint parking lot, you can enjoy an easy 0.5 mile walk that passes under the Mackenzie Highway bridge and leads to the waterfalls. This route has some minor ups and downs but it’s relatively flat. My Dad walked it one month after hip surgery! 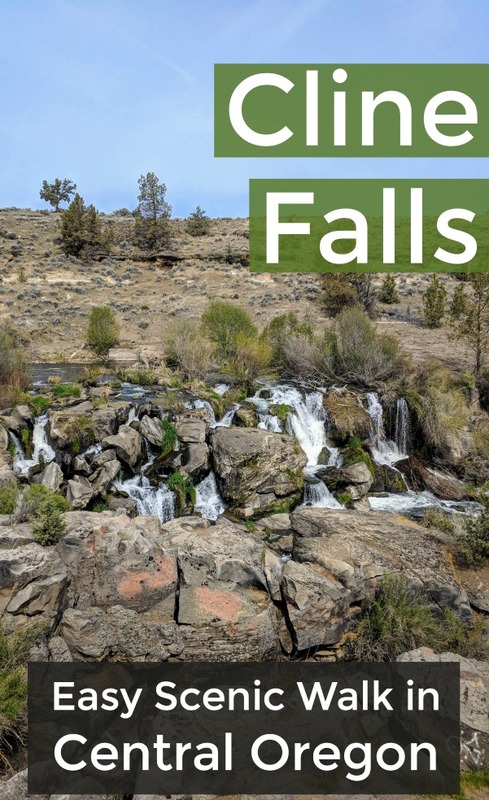 The google map is a big misleading, as the Cline Falls State Scenic Viewpoint, located south of the Mackenzie Highway, is not the location of the waterfalls. It’s a picnic area with bathrooms, tables, and parking. 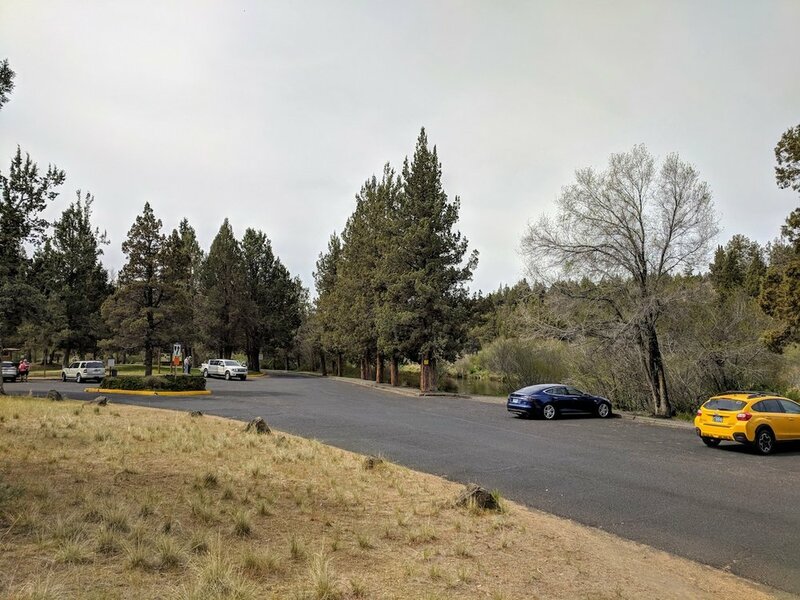 There is fishing access and it’s a popular ending point for inner tubing and rafting down the Deschutes. This is where we parked and started our walk. 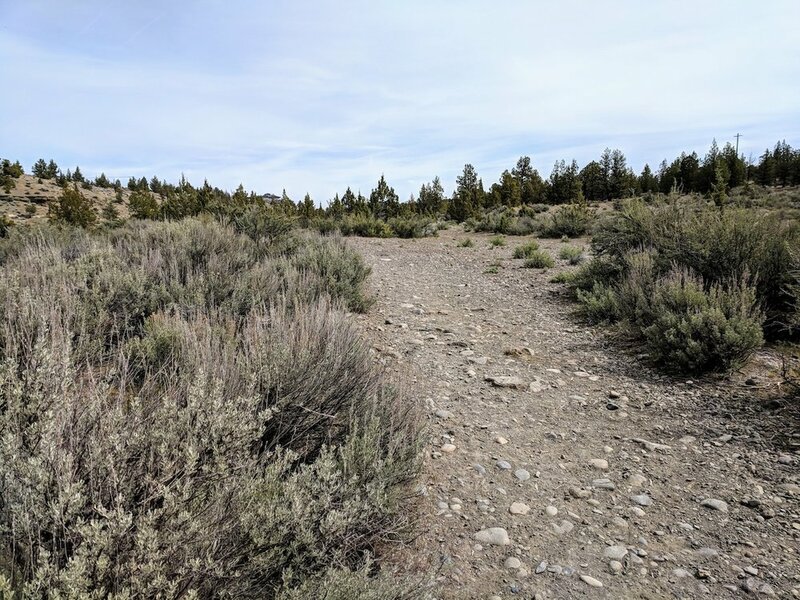 From the picnic area, walk back toward the highway (North) on the road and take one of several dirt paths down to the trail. There were a few paths leading down toward the river, and the second one seemed the most gradual. There are multiple pathways parallel to the river, and they all end up in the same place. Continue under the bridge. Once you cross under the bridge, look for a pathway that parallels the river again. You’ll get a bit further away from the water, but not too much. The falls came up on us almost by surprise because they drop down into the canyon. There are several viewpoints to admire the falls. Because the landscape blends together somewhat, it’s probably more interesting to see the waterfalls in person than in a picture. 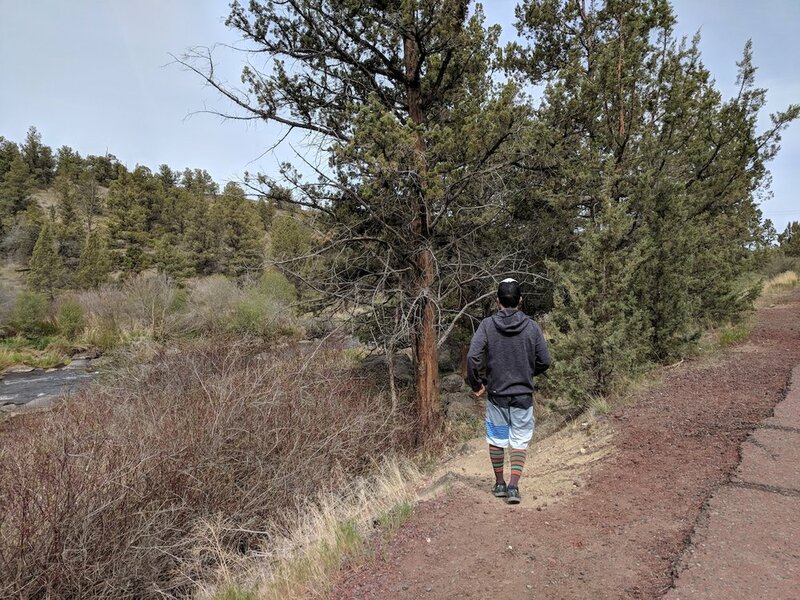 If you want to add some distance to your journey, you can continue walking along trails further along the river, toward some houses on the cliff. After driving by this spot so many times, it was nice to finally discover these hidden falls for ourselves. 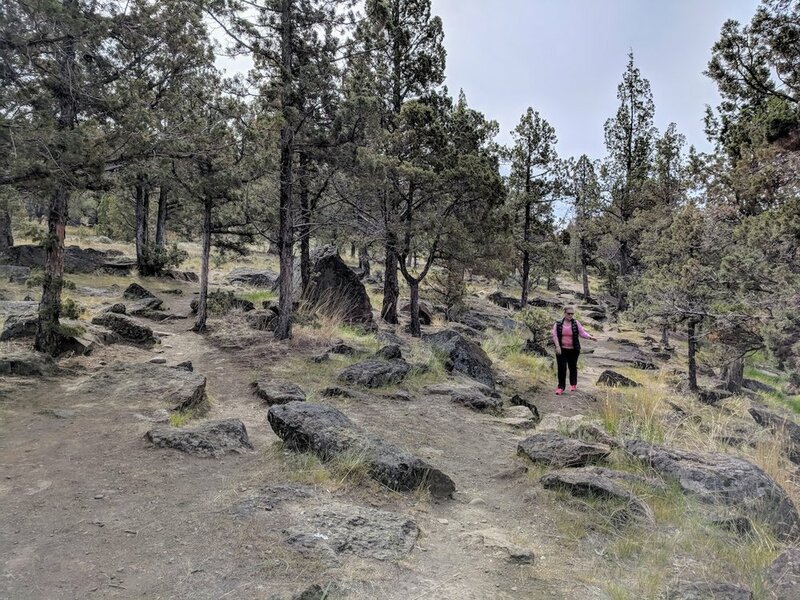 This is not necessarily a “must do” hike, but if you’re in the area and looking for a leisurely walk where you can enjoy natural beauty of Central Oregon, including some interesting rock formations, then this could be a great half hour excursion for you! Pin for later or share with friends!